Increased cropping areas with minimum tillage practices have led to more intensive cropping and the associated complexities with rotations, nutrition and chemical requirements. Livestock provide an equally important part in a large number of farm incomes in this area and the information surrounding their parasitic control, increased production and general health has also taken quantum leaps. Cropping and livestock production work very well together and in most cases should complement each other i.e. rotations, pasture manipulation, stubble utilisation, management of chemical resistance, weed control and more. 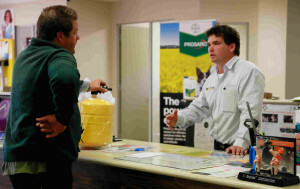 With this in mind, and Kojonup Agricultural Supplies’ one stop shop policy, all agronomy always takes mixed farming into consideration when giving recommendations for nutrition and herbicides. For complex questions Kojonup Agricultural Supplies has access to three fully trained agronomists. Our agronomists can either make an over the phone diagnosis or arrange a paddock inspection. Simple on label advice is usually given out by experienced “in-house” staff. Everybody has heard of “oils ain’t oils” and “soils ain’t soil”. Well the same applies to fertiliser companies. 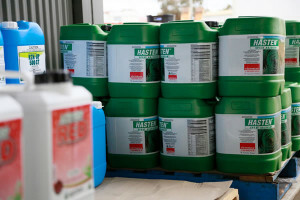 There are so many things to consider when purchasing fertiliser. Kojonup Agricultural Supplies have aligned ourselves with CSBP, the largest distributor of fertiliser in WA. The difference between using the correct amount and type of fertiliser and a correct balance of nutrients can have an enormous impact on a farmers bottom line. CSBP offers a number of services: satellite imagery of biomass; state of the art soil testing facilities; and the NuLogic program which has developed from 20 years of analysing and researching soil types, crop effect to soil types and responses to all nutrients. A combination of one or all of these allows a nutrient recommendation specifically suited to your farm . Kojonup Agricultural Supplies also has a mechanical soil sampler available for hire to make that “not-so-desirable” task a little more pleasant during the hot summer months. Make sure that any seed you retain or buy has purity, germination and seed count per kg information with it. Not only does this avoid potential disasters but can also save expense in overestimating the amount of seed required for optimal plant density. We have test kits available or bring in your seed and send away. Likewise, if you have a suspicious stand of weeds that you think may have survived a spraying event. Take a sample of the seeds and give them to us send away and get tested for resistance. 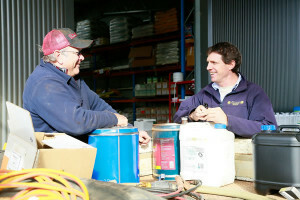 Investing in seed treatments to protect your seed is part of best practice management. Not only do the fungicides and insecticides protect your valuable seed from failing but they reduce the amount of time you have to invest in monitoring your crops in the early stages while still seeding. There are a wide range of treatments available including nutritional requirements. Paddock history including crop rotations, yield, type and size of weed burden and nutrients available will help determine what seed treatment will be suit to your needs. Call in for specific recommendations. All herbicide applications need a broad approach to be taken by looking at the required end result. If it is a 100% cropping situation and the plan is to remain that way, it is important to remain vigilant on weed control. A lot of the chemicals used now are for controlling potential weeds in the future. On the other side of the coin, if it is a mixed farming enterprise with short rotations of crop for 2 or 3 years and then back to pasture for sheep, consideration must be taken in having a productive pasture paddock the year coming out of crop. The two different types of management are both very profitable although the 100% cropping is higher risk and requires a very disciplined approach to weed control. Rapid development of glyphosate resistance has led to even the once simple process of initial knockdown having to become a carefully considered plan. Combined with weather conditions determining the break of season and size of the weeds there will be many options within this plan. 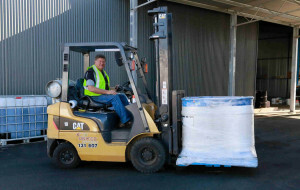 Our flexibility and payment terms on the whole range of chemicals such as Glyphosate, Paraquat/Diquat, Trifluralin etc. allows you to be comfortable in ordering for the array of options that are open before the season breaks. Advances in chemistry are not only necessary to combat resistance of weeds to certain chemicals but also to provide increased options to provide selective control of weeds that were previously uneconomic to control. Experience with previous chemicals has lead to agronomists now taking paddock chemical history into account before making recommendations, allowing them to protect new selective herbicides before recommending them year in year out. If there is a new post-emergent herbicide out there, you can be sure that we will have access to it through our extensive network. A lot of work has been done recently on ensuring that the insecticides that were once used without question, are only used now under specific conditions. One of the main reasons for this change in approach has been the research showing the results of insect interactions and the fact that broadspectrum insecticides kill the populations of predators that control the insects causing economic damage. This type of approach is referred to as Integrated Pest Management or IPM and is a direct result of resistance developing and the drive for economic benefits. Make sure you are using the right insecticide for the right job and come and see us. Powdery Mildew, Spot type Net Blotch, Leaf Rust, Septoria and Stem rust to name just a few of the fungal diseases out there that are able to rob you of final yield. Timing of the application is crucial as well as identification of the disease itself. Tebuconazole, Propiconazole, Epoxiconazole and Prothioconazole are some of the fungicides available for control, but their effectiveness on different diseases is varied and careful selection is required. If you are worried about recognition of the disease bring in some samples and get them identified.